More and more adult kids are coming back home—or never leaving in the first place. In fact, if you are in this situation, you are not alone. A recent study says that nearly 53 percent of 18- to 24-year-olds in the U.S. reside with their parents. Whether your child is contributing his fair share or driving you up the wall with irresponsibility and attitude, you’re bound to lock horns from time to time. 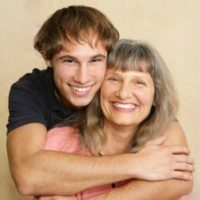 In this two-part series by Debbie Pincus, find out how you can manage your adult children at home effectively—and how you’ll know when it’s time for them to leave. Older children end up at home with their parents for many different reasons. Sometimes they want to get their nest built financially, so they come home to save money and secure their future. Other kids are coming home—or have never left in the first place—because they really can’t make it out there on their own. For one reason or another, they haven’t developed the maturity to launch successfully. If your child is controlling your house, then you are allowing yourself to be controlled. If your adult child lives at home with you and has made no move to save up for a place of his own, you’ve probably asked yourself, “Is he planning to stay here forever?’ And the truth is, sometimes older kids do get comfortable back home. It takes a lot of pressure off their shoulders because Mom and Dad are there to cook and clean and pay the bills. So when is it appropriate to ask your child to leave? Should you wait until they get a job or get married? Is there a plan, or are you just moving forward blindly, hoping they’ll get up on their feet and find their way eventually? Some adult children are slower to mature than others. Developmentally, they’re just not “there’ yet—they’re not ready to take care of themselves, so they end up at home. When this happens, many times I find the parents have been over–functioning for their kids. There’s an important difference between helping and over–functioning. Helping your older child means doing something for him he can’t do himself, such as driving him somewhere when he has a broken leg. Over–functioning means you’re taking responsibility for things he can do for himself, like doing his laundry and cleaning up his messes after he’s had friends over. Perhaps that pattern started years ago or maybe it began when he moved back home. The bad news is that when you over–function you’re allowing the negative behaviors to continue; the good news is that it’s in your control to change the situation. What I recommend is to have a plan of action with your child. The message can be, “You’re not just here for good. We’re going to help you, but the goal is for you to get on your feet.” (I’ll talk more about how to make a concrete plan in Part 2 of this article series.) Having a goal in mind is important because it will ensure that your child’s stay back home doesn’t drag on forever. What happens when there isn’t a plan? Frustration and resentment build when you hear your child says things like, “I’m looking for a job, but I can’t find anything’—but you’ve seen him sleeping late every day and staying out partying at night. This resentment only adds to the stress of living together. Ever hear yourself repeatedly make excuses like, “He’s really a good kid, he’s just a little lost right now;’ or “He’s going through a hard time—if I don’t help him who will?’ The truth is, when your kid can’t launch, you are enabling him. I know that many parents out there have kids who never launch. Perhaps they’ve been living with their parents ever since high school and now as adults they are controlling the house. Let me be clear: if your child is controlling your house, then you are allowing yourself to be controlled. And if your kids have never left, it’s because you have allowed them to stay. I’ve worked with many clients over the years with adult kids living at home. Typically, the more the parents feel controlled by their children, the more they will try to control them. But the more they do that, the more their child stays, digs in his heels and fights to get his own way. Now they have a huge power struggle on their hands, which is a dynamic you never want to get into if you can help it. Over–functioning gets played out even more when there’s a disability. Sometimes this is used as an excuse, where the disability gets more exaggerated. It’s also the reason why some kids can never leave their parents’ house or why they can’t make it on their own. Many of us manage our own anxiety with our kids by over–functioning for them. And when a child has a disability, whether it’s ADD or another type of learning disorder, it gives parents all the more reason to “overdo” for their kids. On the other hand, you often see young people with severe disabilities who are extremely functional and independent. I believe they were taught from a young age to be responsible and do things for themselves. I understand how hard it is to know where to draw these lines as a parent. I think the key is to stop focusing on what’s wrong with your child. Stop asking, “How do I get my child to be a certain way?” and start thinking about what he can do on his own. I also think it’s important to think about what you need. Just turn it around. When your adult child is living in the house with you, you may feel infringed upon while he feels like he’s being treated like a kid. Everyone has different preferences, needs and values and there can be lots of annoyances when you are living together as adults. But don’t get caught up in who is right and who is wrong. Work to get along and don’t keep assigning blame. Instead, take responsibility for your behavior and how you manage your own anger and irritation. Often, the battles you have with your kids are really about, “I need you to behave a certain way to help me get calm.” When you get into that, you are inherently trying to control someone else. This will naturally cause the other person to resist being controlled. Remember, you can’t control your adult child; you can only let him know where you stand and try to be an influence. I also think you need to take good care of yourself so that you have resilience. If your adult child moves into your house with a family and little kids, you’d better make sure that you’re not overly-stretched. You can’t afford to get worn down because you’re over-functioning for everybody. So take care of yourself always. When your child is young, you can think of yourself as a manager. You are involved in his day-to-day life in a very “hands–on” kind of way. But as your child grows and becomes an adult, you’re really more of a consultant. That means you talk to him about what’s going on like a consultant for a business might. You need to step back more and more as time goes by because now you’re talking about an adult. So you can be helpful and check in, but you’re not looking to give unsolicited advice. I believe it’s a good idea to ask your adult kids if they would like your advice–otherwise you’ll end up in a situation where you’re too much in their “box” and not enough in your own. When you’re staying in your box, you’re saying, “This is what I expect of you living here. This is what belongs to me. Here are the things you are free to use.” You don’t need to get in your child’s box and tell him how to live his life. Instead, as your child gets older, you want to come across a bit more like an adult acquaintance. So you’re saying, “How are things going; what’s up? Can I be helpful to you?” This doesn’t mean that you don’t hold your child accountable; to the contrary, you define boundaries very clearly and let him know that you intend to stick to them. But you’re also giving him some degree of respect and autonomy. If your adult child lives at home with you and you’re feeling overwhelmed or out of control, I think you have to ask yourself this question: “What am I ultimately responsible for?” Above all, you are not responsible for your child’s choices in life or his behavior. If you think you are responsible for those things, then you’re not going to be able to hold onto a clear sense of what your own limits are. Instead, you’re going to try to get your child to be how you want them to be. That’s going to create a dynamic where he’s not going to be motivated and or function for himself. So always go back to the self. Stop trying to figure out how you can get your child to do “____” and just go back to “What can I do for myself?” When you try to control somebody else, no matter what their age, it is simply going to backfire and hurt your relationship. The goal is to recognize that you don’t need your child to be different in order to have what you need. You can learn to establish your own bottom lines and make them clear; you can state what is important and the relationship will still work—in fact, it will be better. Remember, the only person you have to be in control of is yourself. In Part 2 of “Adult Child Living at Home?” Debbie Pincus, MS LMHC will discuss concrete ways for you to talk with your child about responsibility and their future plans. She’ll also give you ideas on how to ease them out of your house and onto their own two feet.